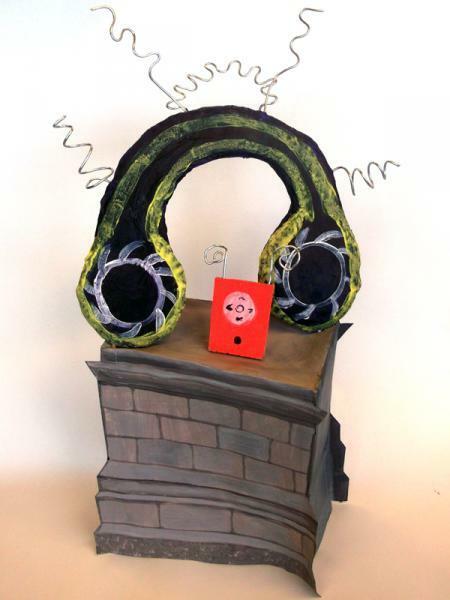 Following on from our previous post on the Fourth Plinth Schools Award 2013, we have been informed that Bhavini's entry 'Public Playlist' has won for the Borough of Barnet! Encourage people to think about the location in Trafalgar Square and London more generally. Bhavini worked hard alongside other Year 7 and Year 8 students in after school Art club, under the guidance of Ms Bunting-Branch, to create this excellent artwork. At present Bhavini's artwork is on it's way to be photographed for the exhibition. Prizes will be awarded at the opening of the exhibition by the judge Gregor Muir and the Deputy Mayor for Education and Culture, Munira Mirza on the 23rd April at City Hall. The exhibition will continue until June to allow as may people as possible to view the artwork on display. Which 'Let me introduce myself' postcard design is your favourite?